Buyers today are more empowered. Information is abundantly, overwhelmingly available, and buyers are using that easy access to tune out unwanted marketing messages while simultaneously seizing control of their buying processes. Does this mean the power of email marketing is dead? With short attention spans and intelligent buying and browsing habits, digitally-savvy consumers want personalized, relevant communications. For success with email marketing, the focus must be on sharing value and serving your audience versus manipulating them to click, share and opt-in! Email Matters More Today Than Ever Before! Still need help launching your email marketing campaign? The Arzo Enterprises team is here to help make your good business a great one! Contact us today at 855-202-6222. 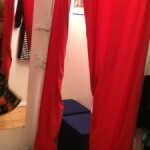 The fashion truck mobile fashion boutique gives new meaning to getting hot merchandise that has “fallen off a truck.” No, it’s not stolen….fashion trucks, inspired by the food truck craze, are the newest way women all over the country are getting fabulous, trendy and one-of -a-kind fashion looks. Here are a few of our tips on how to start your very own fashion truck! Because it’s up to owners how much they want to commit to their business, the amount needed to start and operate a mobile shop varies, but typically the shop vehicle is the biggest expense. Research your target market now to reduce time spent and profit lost later. Use social media, like Facebook and Twitter, to let people know where they will be located on any particular day. Stock up! Unlike traditional stores, the turnover rate of fashion truck merchandise is high. In the average retail store, the stock can be there for weeks or even months. In a truck, it could change on a daily basis. In the fashion truck industry, your truck is your brand. 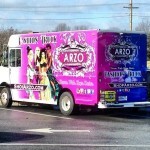 If your considering going it to business, consult with the experienced team at Arzo Enterprises. As a pivotal instrument in the success of Arzo Fashion Truck, they can guide you to success with your new business venture! In this day and age, when a new – or existing – customer wants to find you, more often than not they will look for you online first. Therefore, if you have a business, then you should definitely have a website for it. 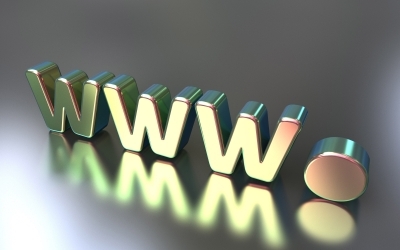 Here are six reasons why, as a small business, you need a professional website. First impressions count. A professionally designed and built website instills confidence with the customer that you provide excellent services and quality products. Your competitors probably have websites. It helps you spread your organization’s message. It builds credibility. A well-designed site makes your business look successful and builds trust in your company and it’s services. It’s the most cost-effective way to advertise. Customers can browse your services and products in a convenient, eco-friendly way without having to travel to a physical location. Overall, it’s a tool that you can use to recruit employees, sell services or products, show pictures, connect with your customers, and much more! If there’s one thing worse than not having a website for your business, it’s having an ugly website for your business. Take a peek at our Graphic Design and Website Services page to see how Arzo Enterprises can take your webpage to the next level! Setting up your own shop on Etsy.com is easy, from creating an account, to adding products, to calculating shipping costs. While the set up is easy, they also offer tons of features to make your shop unique like customizable store policies and coupon codes. Whether you have a physical store location or an online virtual shop, Etsy will hand off some of that traffic. Etsy has it’s own system for shoppers to find your items and they provide step-by-step guidance on how your shop can benefit the most from the 25+ million monthly visitors. From the forum to the live chat support, Etsy gives you a community of people just like you to bounce ideas off of and make valuable connections with. They also have teams you can join, live chats with the support team, and support email to keep your business running smoothly. Etsy is a great support to your main website as it allows you to gain exposure and new audiences. You can use it to text new retail products or sell wholesale items only. With all of these options, and more, you can easily cross-promote your own website and Etsy shop. The Etsy community spans the globe with buyers and sellers coming from more than 150 countries. Etsy sellers number in the hundreds of thousands. If you need help reaching those ready and willing buyers, contact Arzo Enterprises today so that we can help you reach your potential.